Home Blog When can I make a workers compensation stress claim? It may be possible to make a successful workers compensation stress claim if you’ve suffered from psychological injuries while at work. A stressful workplace can be a nightmare to navigate, whether it’s the result of bullying, sexual harassment, exposure to violent or traumatic situations, work overload, or job insecurity. In this article, we take a look at some of the things that you need to consider when making a workers compensation stress claim. Workers compensation stress claims can be hard to prove and they require evidence that shows you have suffered a psychological injury as a result of your job. An experienced workers compensation lawyer can help assess your chances for success and help you gather the evidence you need to demonstrate the severity of your injuries and the impact it has had on your ability to cope with life. It’s important to note that in some situations, workers compensation stress claims may not be successful in circumstances where the stress was caused by what’s known as ‘reasonable management action’. This may include situations when employees are demoted, made redundant, performance managed, or dismissed. The eligibility criteria are high for making a workers compensation stress claim and an experienced lawyer can give you a realistic assessment of your chances for success. Your lawyer will also be there to support you through the process of making a claim, giving you the right advice on how to go about making a claim and the information you’ll need to make a successful claim. The amount you can expect for a workers compensation stress claim depends on the facts of your individual situation. An expert compensation lawyer will be able to assess your particular circumstances and provide you with an estimate of what you could expect to receive for your stress-related injuries. In situations where mental stress leads to a permanent psychological injury, it may be possible to make a claim for a chronic ongoing condition. To be successful, you’ll need to be assessed as having a psychological injury that amounts to at least a 15 per cent impairment of your ‘whole person’. The test for impairment will be done by an accredited medical specialist who has been trained in determining how your psychological injury has affected your ability to cope with life. One of the ways mental stress and psychological injury can occur at work is as a result of workplace bullying. Apart from the workers compensation laws, there are special anti-bullying provisions that form part of the Fair Work Act. This prohibits bullying and provides the Fair Work Commission with the power to make orders to stop the bullying from continuing. Making a claim for psychological injuries suffered at work can itself be a stressful process. Speaking to an experienced workers compensation lawyer can help ensure you receive the right advice. 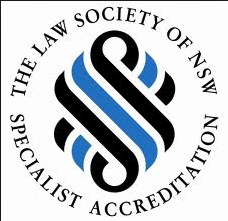 At NSW Compensation Lawyers, our senior lawyers are experts in workers compensation claims and will be able to help you along the way, especially if there is a dispute with the insurer. You can contact our friendly team on 02 9601 0088.